Jesus, Mary, Martha and YOU! 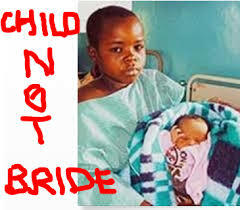 The crime that is child marriage – the sin that is child marriage! He said her ‘cocoyams’ were ripe. That was all the reason he needed to approach Halima’s father to ask for her hand in marriage. The smile on Adamu’s face was disgusting and not because it was hard deciphering how much of his teeth his lips covered for they were of like shade and colour. Worse still was watching Hassan, Halima’s father, nodding, giggling demonically and embracing his new ‘son-in-law’ after hearing his proposal. The entire marriage process was quicker than it took for him to spot her and ‘like’ her in the first place. Pervert! With two wives and six children, half of which were older than Halima, waiting for him at home, I wondered what he needed her for. Find this year’s shortlist here. My tweets in May 2013 on each of the five submisions follow below. We now know who won and carried away the fat yam “tuber”! @feathersproject ije enu, indeed, nwanne nkem! Oso ndi, owe ndi! where have the all “clue-full” ones gone? “My boy” – Patronizing or matronizing? Now these begin the chronicles of the My Boy Saga. A story of great moral value to those who desire fame or are at risk of falling prey to it. 1. It came to pass that a certain Ngozi wrote a book called Amerikana which was widely talked about around the whole world. Many regarded it with awe and some with exasperation. 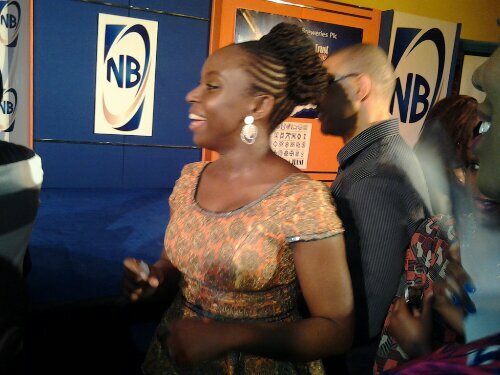 As a service to the Bostonrearview, a great teacher of African literature, AB did interview Ngozi about the book. Their interview went most amicably until it happened upon the subject of new African writing and the Caine Prize. Responding to sexism without being sexist? You know the type, they send guys manhood shrinking emails and receive manhood shrinking replies from men whose p*nises shrink and they started to shout ‘ She stole my p*nis’ in the market square! El Nathan used the phrase manhood shrinking more than six times in this brilliant piece about loving Ngozi. Its brilliant satire; sarcastic, tongue in cheek, ironic, cocky. I’m also pretty sure its sexist but then I guess so was Ngozi for calling him ‘boy’ in the first place. Now that sounds like its manhood shrinking. And sexist. Yet the entire piece was infused with the eroticism of that second paragraph about cocoyam. It was smoking with sexual innuendo. That’s sexist.